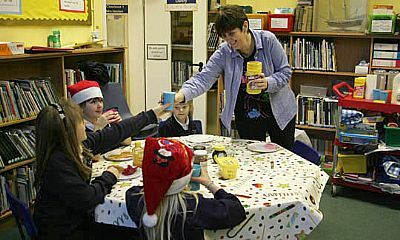 Breakfast and After School Clubs? We are open for breakfast at 7.45am. Breakfast is served until 8.15. After school Club is open from 3.15pm until 6pm. We provide a range of different foods for breakfast including cereals, toast and juice. For After School Club there are; sandwiches, fresh fruit, pancakes, waffles, toast, cold meat, a selection of cheeses, yoghurt and juice or milkshake to drink. If you wish your child to celebrate their birthday in After School Club, we can provide a cake if we are given at least two weeks’ notice. We provide a range of activities such as games, toys and sporting activities inside and out. In summer we make as much use of the school field as possible. Please come via the gate in the school car park near the Church. Just ring the bell located on the gate. Any late pick up after 6pm will incur a charge of £5 for the first 15minutes and £10 up to 6.30 per child. Cancellations of Breakfast Club must be made at least the day before. After School Club cancellations can be made on the morning. Unfortunately a refund cannot be given.